A licensing process which image rights are sold for almost all purpose is called Royalty-Free licensing. Unlike rights-managed licensing where image license is priced based on how the image will serve its purpose, royalty free provides broad perpetual usage rights for a one-time payment. Rights-managed license has restrictions including length of time, regions, size of its image, and more. On the other hand, Royalty-Free license is much less restrictive and offers buyers affordable and flexible images and pricing. Due to the rise of digital image distribution, Royalty-Free became popular. Nowadays, it holds vast majority of stock images. You only have to pay one time for the stock image and you can use that image as many times and in many places as you can. This is the real royalty free definition. It does not mean that you can use the images free of charge. You have to pay a one-time flat fee so you are free from paying royalties. Stock photography agencies sell stock images with a royalty-free license to allow the buyers to use the images in multiple ways. Keep in mind that you are only obtaining the right to use the images with few restrictions. You do not own the image once purchased. The photographer who created the image or the contributor is still the owner of the image. He holds the copyright. Royalty free covers a specific copyright and most of the time it does not affect the actual copyright protection. It is granted with a license to use intellectual property in the return for a flat fee with no continuing fee. The owner still have all rights to the copyright except if specifically extended by agreement. Agency and photographer share profits from the sold licensed image. Typically, the price of Royalty-Free (RF) images is cheaper than its Rights Managed (RM) counterpart. Agencies sell royalty free photos, giving their buyers the right to use the images. However, the purchase does not transfer the copyright of the image and its ownership. What is Shutterstock for You? Many people who are not familiar with the stock photo industry might ask what Shutterstock is and its offerings. What sets it apart from other stock media agencies? There are a few things you need to know if you are considering it as your primary image source. In a word, Shutterstock offers stunning content at straightforward prices. 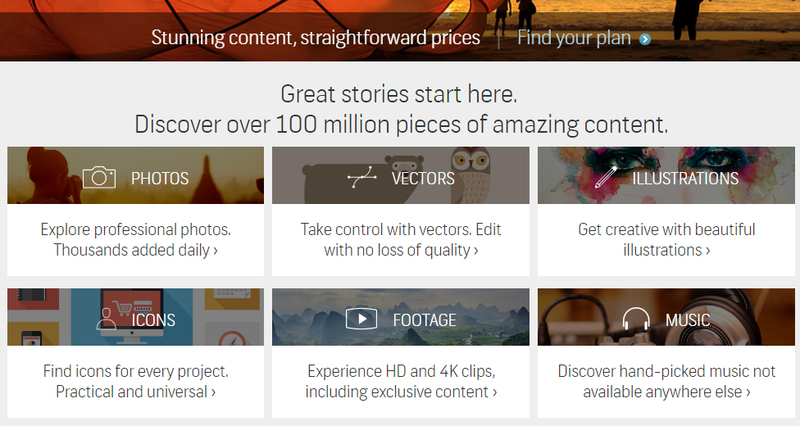 Explore the stock site’s library and create great stories from its amazing content. There are the professional photos, high quality vectors, beautiful illustrations, universal icons, exclusive footages, and hand-picked music. You can also find inspiration from the stock site’s curated collections. All you have to do is sign up for free. Royalty-free amazing content is not what you only get when you register to the stock site. You can also enjoy free photos and videos every week. That’s right! They’re for free. Shutterstock features one photo and one video that you can download free of charge every week. How can you find the content you’re looking for at Shutterstock? It’s easy! You can use the search bar or browse by category. You can also use the menu on the upper left. With Shutterstock, you can find the perfect image for your creative projects easily. The next challenge comes with finding the plan that suits your creative needs and budget. Don’t worry! The stock site offers plans for various budget levels. You can also choose a license that will go with your purchases. To look for Corbis content in Getty’s library, use the current Corbis asset ID. The Editorial stills you will find in the website include pieces from Bettmann, Contour, Contour Style, Corbis Entertainment, Corbis Historical, Corbis News, Corbis Premium Historical, Corbis Sports, Sygma, and Sygma Premium. You will also find creative still from Corbis and Corbis Documentary, as well as Corbis Video. If you have a Getty Images account, use that account to access Corbis footage and images. If you don’t, the stock site automatically created an account for you using your Corbis email address. You will purchase all content from Getty in two ways: a la carte and with Ultrapacks. If you need only one asset, you can purchase it a la carte at $125 each. If you are looking to purchase more, you will save more time and money with Ultrapacks. Be sure to create a new password when you access your Getty account, created by Corbis. This is to avoid security issues down the road. Purchase the right footage when you download Corbis footage. Getty Images offers rights ready and royalty free license to its content. The latter offers perpetual rights with a few restrictions, while the former requires specific use, duration and others. Purchasing rights ready license is complicated. You need to follow the steps on the pop-up window and specify your intended use to get the final price of Corbis footage. This takes time, and you might not want to spend most of your time doing it. Use Getty’s advanced search tools to find Corbis footage. You can enter relevant keywords to find results that match your criteria and to refine them with advanced search options. Sort your results by thematic categories, featured partner collections, most popular, newest and many others – whichever helps you get the most relevant results. There’s a plethora pf specific you can also use to refine your search. Purchasing Corbis footages has never been easier, faster and cheaper with Getty Images, read more here where to buy Corbis footages. You can purchase any content with pricing for every budget level. Whether you are looking for royalty free or Prestige content, you can all purchase them with Ultrapacks. The next time your download any content from Getty, be sure to remember this tips. Stock media online marketplace is a great source of cheap stock video footage and other stock media files. Creative professionals, like you, who are looking for stock footage to complete their video projects have a variety of choices. You do not have to spend a great amount of time, money and effort to conduct the shoot yourself, because footage is immediately available in the market. With just a few clicks, you can find the perfect footage to complete your project. Shutterstock. Shutterstock is known for their stunning content and flexible prices. It has one of the largest stock media libraries in the market, so there is a great chance that you will find what you are looking for. With over 5 million royalty-free stock footages, you can search by keyword or category. The stock website gives you the choice of purchasing per clip and per pack. If you want to save more on your purchase, the latter is the best option.Shutterstock also has a Director’s Choice section, where you can purchase and download amazing cheap stock video footage of different subjects, styles, quality and resolution. You can also check the popular video searches if you are not sure what you are looking for. From HD to 4K video clips, including exclusive content, you will surely find the perfect video for your project. iStock. iStock by Getty Images is one of the best online marketplaces to purchase cheap stock video footage. It offers flexible plans for every budget. With over 60 million stock files in the library, it offers a wide range of subjects to suit most creative projects. The stock site also offers free footage every week, so watch out! The one you need might be what they offer for free. Pond5. Pond5 has the world’s largest cheap stock video footage library. It is also the most vibrant marketplace for creativity. The stock site aims to bring the vision of creative professionals to life. You can search its vast collection of royalty-free and 4K footage to find inspiration and complete your project. Pond5 also has a highly-curated collection if you want to purchase exclusive footage. Cheap stock video footage is a great alternative to shooting your own video. It helps you save time and money from travel, special permits, and talent. If you are looking for a place to purchase and download clips, consider these top online marketplaces. They have some of the cheapest and largest video collection, so you can find what you need to create an amazing project. Getty Images is one of the most renowned stock photo websites in the market. In fact, it is considered as one of the dream stock sites for bloggers, web designers and business people. Well, who would not love Getty Images? It has millions of premium quality stock images in its collection – far better than what you can find in other cheap stock photo sites. It is no wonder that the stock site offers pricier subscription plans. Thanks to Getty Images coupon code, all that will change. Oh wait! Getty Images does not provide any coupon codes. So, what on earth are we talking about? Well, our friends, we are talking about the newest offering from one of the elite stock photo agencies – Ultrapacks! Getty Images Ultrapacks (read more here) are pre-pack images that are available in various volume sizes. You can choose among 5, 10, 15, and 25 image packs, whichever suits your creative needs and budget. You can also choose a resolution that works well with your projects. Have you got larger image needs? No problem! Getty Images also offers larger Ultrapacks from 50 to 250 images. Just contact a sales assistant at the stock photo website to get a larger image pack. Ultrapacks do not only simplify Getty’s pricing, it also applies generous discounts to every photo. The average price for low resolution images is $125. With Ultrapacks, you can get 5 low resolution images for only $575. That saves you $50 or 8% from the regular price. Of course, you will get higher discounts when you purchase more images. For instance, buying 25 low resolution images only costs $2500 or $100 per image. That saves you up to 26% discount or $625 price cut from the grand total. An average medium to high resolution image can cost you up to $500, but with a Getty Images Ultrapack, you can get as high as 31% discount. That saves you roughly $3000 on regular image prices. That being said, Ultrapacks are just as good as a Getty Images coupon code – perhaps even better. They allow you to access over 50 million commercial and editorial images. Whatever topic or style you are looking for, you will surely find it in the stock photo website’s library. By purchasing an Ultrapack, you get further discounts. So, are you ready to purchase Ultrapacks? Save hundreds to thousands of dollars with this amazing offering. Getting access to one of the world’s most renowned stock photo agencies is all for naught if you cannot purchase the images you need for your creative projects. Thankfully, there are Ultrapacks you can purchase that give you instant discounts. They are as good as a Getty Images coupon code too. So, what are you waiting for? Get them today! Searching for Shutterstock coupons is not an easy task. It requires time, patience and wisdom to find the best deal in the market. Here at Stock Photo Secrets, we aim to provide our readers with active and valid codes so they don’t have to scour through the wide world of Internet. We offer exclusive promo codes that are not available anywhere else. We offer only active and valid coupon codes to give our readers real savings. As one of the largest stock photo websites in the industry, Shutterstock has a fairly huge number of members. It offers over 80 million of creative choices to jump-start and complete all types of projects. Furthermore, it continuously expands its library by adding over 300,000 fresh images every week. The stock photo website provides both free and cheap stock photos. Every week, one free photo and one free vector is available to members. Shutterstock has been helping bloggers, designers and businesspersons with their creative projects. In fact, many of our readers use the website as their primary image source. To pay back their loyalty, www.stockphotosecrets.com works together with the stock photo agency to offer Shutterstock coupon codes for our valued readers. Through these coupons, you can further your savings with the stock site’s already inexpensive images. We are offering two types of coupons for our avid readers. They are valid through June 30, 2016 so you have plenty of time to enjoy the promo. Image Subscription. There are 3 types of image subscription in Shutterstock – basic, professional and team. The basic subscriptions has 5 and 25 image packages that must be download within one year of subscription. The professional subscription gives you access to the entire collection without daily download limits. You can download 350 or 750 images depending on your creative needs. Lastly, the team subscription include 750 images with prices that vary by the number of users. Our exclusive coupon includes 15% discount on all these image subscriptions. Footage Products. 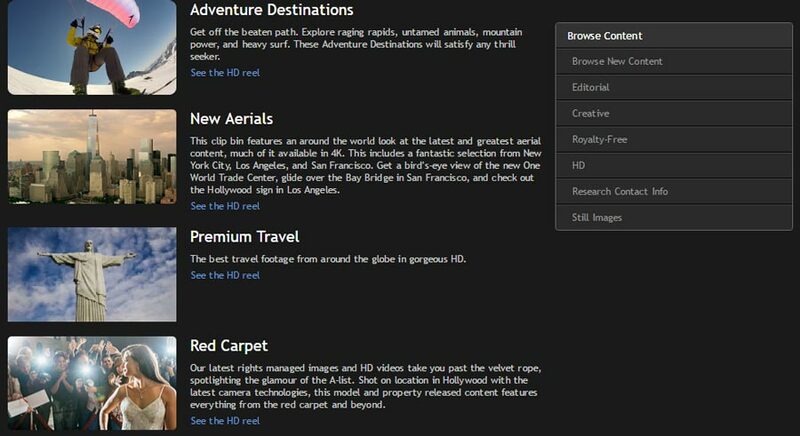 Shutterstock is known not only for its image subscription plans but also for its footage packages. In fact, it has over 4 million of the best royalty-free stock videos. You can download videos individually or in packs to save more. Our exclusive Shutterstock promo includes 10% discount on all footage products. This means you will have a bigger opportunity to save more when you purchase a footage pack. What are you waiting for? Redeem your exclusive Shutterstock coupon now to get a chance of bigger savings. Take note that the promo ends on June 30, 2016. Find everything you need for your creative projects and download them instantly with our promo code. While Adobe Stock is fairly new to the stock photo industry, it has a competitive collection of stock images. By acquiring Fotolia and Dollar Photo Club, it provides the creative community with a bigger library of high quality photos. In fact, it boasts millions of world-class images right inside Creative Cloud desktop applications. It also has amazing plans that meet your creative needs. Furthermore, it has a current promo that offers 10 Adobe Stock photos free download. Why should you try Adobe Stock? There are a number of stock photo websites in the Internet. Each of them has something unique to offer the creative community. Image quality, collection and rates are three of the most common factors to consider. But, why should you choose Adobe Stock at this time? Here are some features and benefits of the stock site that make it stand out. World-class Images. Being curated by Adobe, the stock photo website features some of the best quality stock images in the market. 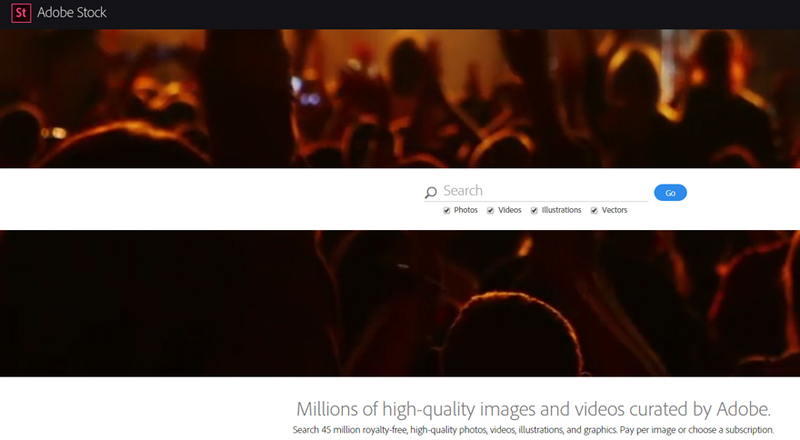 It currently has over 50 million high quality royalty-free images and is consistently growing. You can explore the website by category or search bar, whichever is convenient for you. Pricing & Plans. 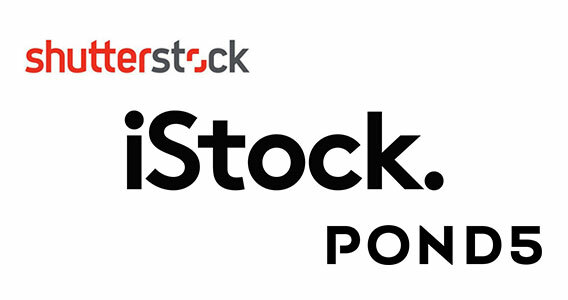 Adobe Stock provides purchase choices that meet your needs. It has a monthly plan of $49.99/mo that includes 10 images per month and allows you to purchase additional images for $4.99 each. It also has an annual plan of $29.99/mo that includes 10 images and allows you to add images for $2.99 each. You can rollover up to 120 images with these plans. For greater image needs, you can also opt for 750 images per month and buy extra images for $0.99 each – all for the price of $199.99/mo. Creative Cloud Integration. Probably one of the top reasons to try Adobe Stock is the fact that it is directly integrated with your favorite Creative Cloud applications. That’s right! You can purchase, access and manage your stock images directly from Adobe CC desktop apps, such as Photoshop, Illustrator and InDesign. All you have to do is find the perfect photo to jump-start your creative project. Adobe Stock Photos Free Download. The best reason to try Adobe Stock is its current promotion, which gives you 10 free images within the next month. How does this work? Just subscribe to the $29.99/mo annual plan and you will receive a one-month refund. Take note the promo is cancel risk free within the first month. What are you waiting for? Try Adobe Stock photos free download for one month now! Explore millions of high quality royalty photos by subscribing to the annual 10 image per month plan, where you will be automatically refunded for your first month. Click here to start your free month. Now that the Dollar Photo Club is closing, it is time for its creative members to start looking for a better alternative. If you visit stockphotosecrets.com, you will find good short reviews of stock photo sites. You may find your next primary image source upon learning the features and benefits they offer. Whatever you find, always keep in mind that your creative needs and budget should be your priorities when choosing a good Dollar Photo Club alternative. Shutterstock. Shutterstock is a great stock photo site. It has over 70 million stock images in its library so you will surely find everything you need for your creative projects. It offers subscriptions and images on demand for every budget. Every week, over 800,000 fresh new images are added to its premium collection. Moreover, the website offers one free photo and one free vector every week. iStock. iStock allows you to explore millions of high quality royalty-free images at ridiculously great prices. It also allows you purchase images by credit packs or subscription plans, which lets you rollover your unused downloads to the following month. It has been in business for 15 years, providing the creative community with licensed stock content. Furthermore, it offers one free photo, illustration, music and video clip every month. Depositphotos. Depositphotos has millions of high quality royalty free stock images, offered at the best prices to fill all your creative needs. By registering to the stock site, you can access over 45 million assets. You can purchase images on demand or subscribe to daily or monthly plan, whichever suits your needs. The stock photo website offers support in 20 languages, serving customers around the world 24/7. Adobe Stock. Adobe Stock bought the Dollar Photo Club. DPC is offering its active users a choice to transfer to AS voluntarily. If you pick AS, all your unused downloads will be available in the website for a year. You will also be given an exclusive DPC member offer, which will only be available prior to transferring unused downloads. If you have a Creative Cloud desktop application, this may be a good choice. 99 Club. Out of all the stock photo websites in the market, 99 Club is the closest thing you can have to the Dollar Photo Club. It offers similar product with better features and benefits. Like the DPC, it offers images at the highest resolution possible, with a royalty-free license. It also has millions of images in its library with thousands more added regularly. It is also exclusive to limited members. On the other hand, it offers greater pricing at $99 per year for 200 images. Additional images are priced at 99 cents. Thus, it is the best Dollar Photo Club alternative to date.